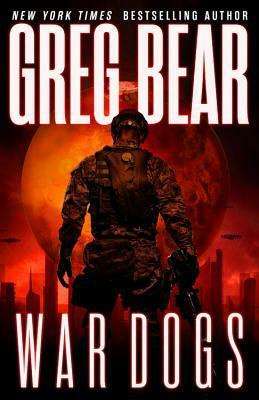 3.5 stars – A tale of military on the Red Planet with fidging excellent characters. Providing technology and scientific insights far beyond what mankind was capable of. They became indispensable advisors and promised even more gifts that we just couldn’t pass up. We called them Gurus. They had been hounded by mortal enemies from sun to sun, planet to planet, and were now stretched thin — and they needed our help. War Dogs was so far out of my comfort zone I expected to not enjoy it. I’m pleased to say that I did enjoy this, not only was this a new style of writing for me, it was also a new author. At first I was a little sceptic of a book set on Mars (I haven’t read The Martian yet so the topic of being stuck on Mars is new!) this book was set in the perspective of Master Sergeant Michael Venn (Vinnie), a veteran Marine trained in off-world combat. I’m trying to go home. As the poet said, if you don’t know where you are, you don’t know who you are. Home is where you go to get all that sorted out. The chapters flick between Earth now and Mars then which is, in reality probably only about 2 weeks or so. Michael Venn has been on multiple tours of the Red Planet in his six years as a Skyrine and this is likely to be his last. There’s a good setting of Seattle in the beginning of the book where he’s just got out of the military base he touched down in a little while ago, it’s told from first person perspective and lots of memories are forth coming to the reader. The basis of the Skyrine and their missions to Mars is from the Gurus – an alien race who made their presence known thirteen years ago when they touched down in the desert and spoke with some camel herders, it then progresses to the Gurus sneaking into the telecoms and satlinks, making a lot of money and then being “spotted” by some really clever computer folks. The Gurus then provide us humans with lots of technological advances for seemingly nothing, at least until they break the news that they have their own enemies – the Antagonists or Antags – and it’s now up the humans to go to war with the Antags. Physics is what kills you, but biology is what wants you dead. …and share a silent fear that here, buckaroos, there are far too many cowboys and not nearly enough Indians. We’re all War Dogs, adopted by a very tall, strong ranch wife. The descriptions of the characters and the settings in this book are wonderfully done and you actually feel like you’re there on Mars suffering along with Venn, Tak, Kazak and the rest of the Skyrines (a Skyrine is a Marine who is ‘sky-bound’ to Mars) while they wait out the possibility of death before Teal the ranch wife from the above quote comes to their rescue and then while they discover that their mission was compromised from the very beginning long before they actually launched. Throughout the book there is a character called Alice who comes to Seattle on behalf of Joe (another Skyrine) who is there to help Michael come to terms with being back on Earth after the blow out of Mars. She’s a sort of psychotherapist I suppose who is there to listen to Michael’s story of what happened on Mars (which is basically how the book is written, the storytelling of what happened on Mars but through visions or flashbacks) and she eventually takes him to see Joe only they get caught by the military police. Michael ends up being taken “prisoner” as a fugitive. This book was – though short – incredibly well written and I definitely want to read the next one which is lucky as I have that as well. This one book has made me want to read more of Greg Bear’s work and I’m on the hunt for the next series to read. As mentioned before the characters were brilliant although there is lots of unique jargon that both does and doesn’t make sense (SNKRAZ for one), the Muskie lingo (Teal’s people) is a little hard going to understand. The chapter switches between past and present, with the past represented as memories or hallucinations/visions; ultimately War Dogs is a humorous but dramatic tale of Mars from the POV of a Marine that can’t swear. Michael Venn is a great main character with plenty of well presented secondary characters and a good ecclectic mix of plots. Ant farm stories are just like life. We have no idea why we’re here, what we’re doing alive, or even where we are, but here we are, doing our best to make do.